Want to know more about the tools behind my work with clients at Smart Creative Social? How about tools I use for running the business side of Smart Fun DIY? I thought it would be helpful to create a resource page that you can always come to for all of your social media management and creative business needs. I recommend bookmarking or pinning this page for your reference and convenience. Enjoy! Disclosure: Please note, some of the links below are affiliate links and I will earn a commission if you decide to make a purchase – this is at no additional cost to you. I have experience with all of these companies, and I recommend them because they are helpful and useful, not just because of the small commissions I make when you decide to buy something. Please do not make a purchase unless you feel you need the item or that they will help you achieve your crafting or business goals. Your purchase helps support our continued sharing of tutorials and craft ideas. 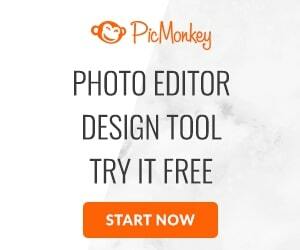 If you’re ready to start a blog or just want to know what tools to use, start here! When you first start blogging or if you are building new sties, you need a domain name and hosting. The domain name is the url (smartfundiy.com) that people type in to get to your site. Your site needs to live somewhere on the internet before you can send people there; you’ll need to purchase hosting, essentially renting a piece of the internet, for your blog to live on. If you manage a lot of domain names, I recommend joining GoDaddy’s Discount Domain Club. This will help manage your renewals and lock in a lower price for your domains* (restrictions apply). I use this service and it is saving me so much money when I buy new domains and do my renewals!! If you are just starting out, I recommend choosing GoDaddy for your web hosting for as little as $1 per month! GoDaddy has security services to help keep your blog secure from hackers plus their customer service is top notch. Click here to find out more about hosting from GoDaddy. If you have been blogging for more than a year and are seeing traffic of 10,000 pageviews or more per month, then I recommend moving to dedicated servers or a managed hosting service like BigScoots. I absolutely love WordPress for blogging! I started on Blogger because it was free and that’s what everyone was using back in 2007 when I started my first blog. Ready to start writing sponsored content? That means companies pay you to write posts about their products on your site. The are many more networks. Many networks require bloggers to display a badge on their site, telling others that they are a member of the network. Look for these badges on the sites of bloggers you love and apply for those programs. What does that look like in action? You can see some of my badges at Smart Fun DIY. These are currently active conferences I have attended so I can speak with authority about each conference and why you should attend. Read my review of the top blogging conferences for women on the GoDaddy Garage Blog. These lists are not comprehensive. There are many more conferences that I have attended that are not listed here but there are the ones I can either recommend or have heard good things about. App Sumo is one of my absolute favorite sites for discovering exciting new apps and productivity tools! They’re always coming out with plugins and special bundles of things like fonts that are handy and useful for your business. And most of the time, these goodies are free or cost a ridiculously low amount of money!! Check it out and sign up for free today. Social media tools are essential to a social media strategy with so many social networks and all of the content creation you need to do to run your business. You cannot do it all manually, by yourself and do it well. Unless, all you do is post to social media all day… and then how can you run your business?! Listed below are the tools I actually use to manage my social media and the social media accounts for my clients. Yes, you’re seeing behind the curtain now! I use Buffer to schedule to Google+ profiles, twitter, and LinkedIn. Buffer offers a companion app for your mobile devices and a bookmarklet to make sharing from the web super easy. Buffer allows you to set times each day for the app to post to your social media accounts. You can load your Buffer “queue” with posts and Buffer will send them out in order at the times set in your schedule. You can also schedule each post to publish at a specific time, which is great for sponsored content you need to push out by a certain deadline. Buffer does’t have an affiliate program but the tool is that good and I love that you can start for free 🙂 Sign up with this link to get a free extra spot in your Buffer! Tailwind is my preferred Pinterest scheduler. We use Tailwind daily and look at the analytics to further inform our strategy moving forward. You can also group boards together so that if you are pinning things that can regularly go to a series of boards, you can group the boards and schedule the pins with one click. Click here to try Tailwind for a month free. Tailwind also offers a feature called “Tailwind Tribes”. Tribes allow you to group together with friends, who may or may not have Tailwind accounts, and share your content so that you can pin each other’s pins. Email marketing is an essential part of staying connected with your followers and customers. Even with the age of social media, email marketing gives you a direct way to connect with your customer. ActiveCampaign – I started using ActiveCampaign early in 2016 and I am absolutely in love with it. This is a POWERFUL tool that will take your business to the next level and grow with you. ActiveCampaign has a short trial period but if you plan to do drip campaigns, automation campaigns, split testing, segmenting your list based on actions, popup campaigns, and more, then you really need ActiveCampaign. 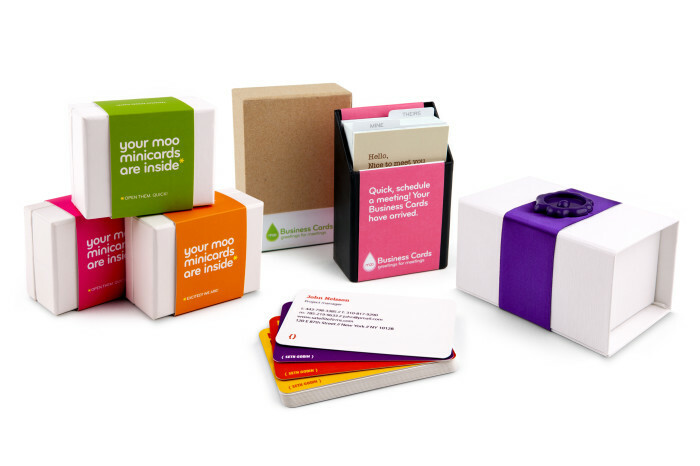 MOO – I loved Moo’s little tiny card since they first came out but now they offer and entire suite of printables, from business cards to postcards and fliers. 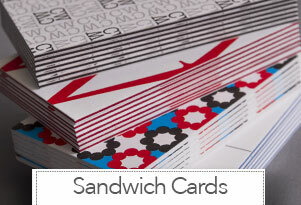 Check out MOO and save $10! Send me a message through the Smart Creative Social Facebook Page or send a DM on Instagram.